"Creed" and "Creed II" - Max Kellerman Even a movie as good as "Creed" isn't above sports- commentator dialogue that can feel labored. 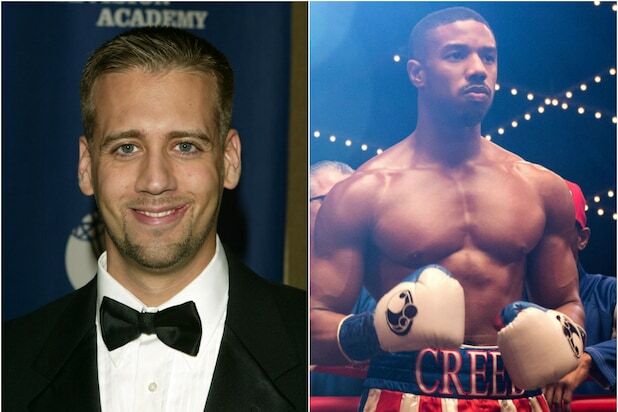 HBO's Max Kellerman has the misfortune of appearing in both "Creed" movies, saying things like, "That's the heart of a champion! He has his daddy's heart," in the first film. The sequel is even more groan-inducing. Kellerman practically praises Sylvester Stallone's screenplay as he goes. At one point he calls Creed's story "Shakespearean" and says, "Rocky knows better than anyone exactly how this story ended 30 years ago!" "Warrior" - Jon Anik "This is a fight! We have ourselves a fight!" Oh do we? 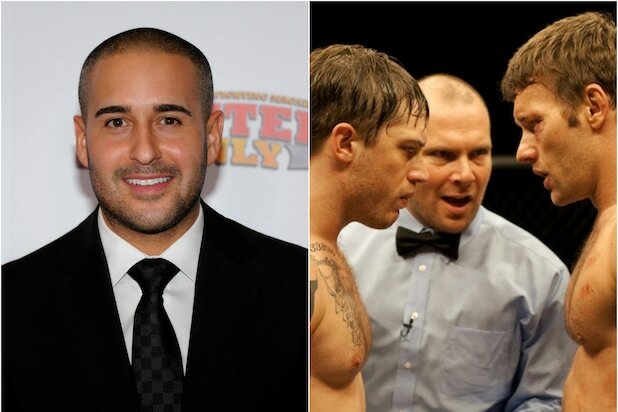 "Warrior" is a relentless, punishing movie, but director Gavin O'Connor has UFC commentator Jon Anik berate you, not with the worst movie commentary necessarily, but certainly with far too much of it. "Mom, time to lock up your china, the boys are at it again!" Or how about, "This isn't happening! It can't happen! It just did." "Friday Night Lights" Yes, even a movie about a high school football team found a way to work in color commentators. The broadcasters in "Friday Night Lights" are almost like a Greek chorus, with lines like, "There's too much learning going on at that school." "42" - Red Barber (John C. McGinley) "This game is just as tight as a new pair of shoes on a rainy day," the great Red Barber (John C. McGinley) says in the Jackie Robinson biopic "42." A piece in Bleacher Report argues that Barber's depiction in Brian Helgeland's film isn't strictly accurate, because Barber prided himself on never rooting for the home team Brooklyn Dodgers. He also didn't say his "Oh, doctor!" catch phrase as often as he does in the film. "Draft Day" - Rich Eisen "Draft Day" recruits NFL commissioner Roger Goddell, Chris Berman, Mel Kiper Jr. and Jon Gruden, but the Commentator Mouth comes from Rich Eisen. First he literally describes how a draft works and what will happen if the Browns fail to make their pick in the allotted 10 minutes ("The team behind them could potentially steal the player the Browns wanted!"). And when Kevin Costner finally does send in his pick, he provides this brilliant piece of analysis: "And the pick is in. It's currently being brandished by some walkie-talkied individual taking it up to the commissioner's podium." "Pitch" - Joe Buck "This is one of those moments in sports where you’ll remember where you were when you saw it,” Joe Buck says in the pilot to "Pitch." Fox rolled out the red carpet for what it hoped would be a splashy, history-making drama imagining the first female pitcher in MLB history. It was canceled after one season. That included Fox Sports' near-entire roster of broadcasting talent, including a brief commentary from Katie Nolan and reporting by Ken Rosenthal. But it was the call from mainstay Joe Buck that sticks in our mind. "This is getting really uncomfortable John, really, really quickly," he says after the show's star throws a consecutive 10 wild pitches. "Honestly, I don't know if I can watch this." Neither can we, Joe. "BASEketball" - Bob Costas and Al Michaels "What could possibly go wrong," Bob Costas said of appearing alongside Al Michaels in David Tucker's much-maligned sports-spoof "BASEketball." "You know who's in it? Ernest Borgnine. He won an Oscar once." But at least their commentary is intentionally bad. 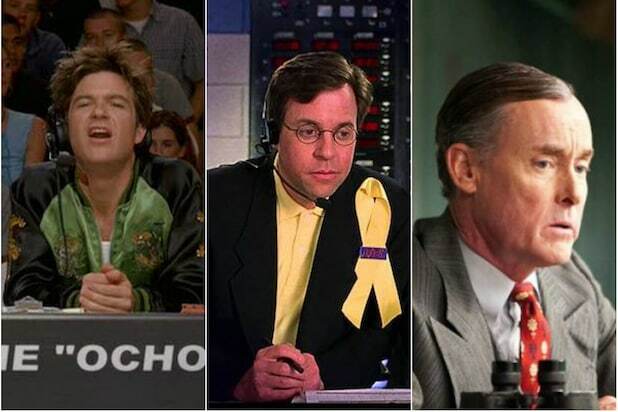 "Dodgeball: A True Underdog Story" - Cotton and Pepper (Gary Cole and Jason Bateman) Broadcasters Cotton McKnight and Pepper Brooks might actually be the best part of "Dodgeball." They're better at bad commentary than the guys who do good commentary for a living. Here's how Pepper describes a decision to forfeit: "It's a bold strategy Cotton, let's see if it pays off for 'em."